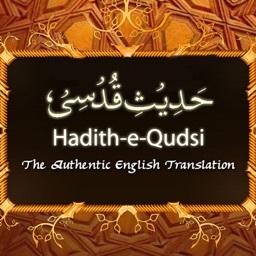 Sahih Muslim is known as the one of world's most authentic source of Islamic Hadiths. 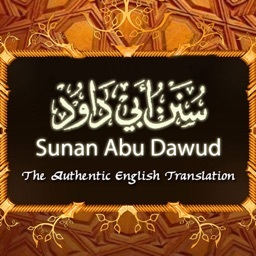 This app contains this collection of Hadiths in their certified and authentic English translation. 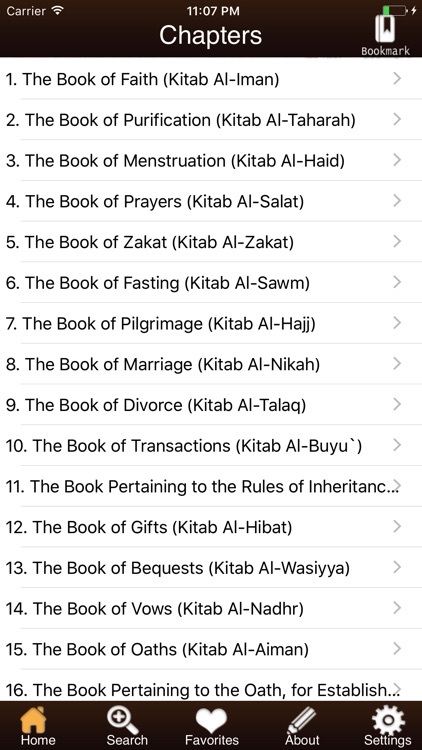 You can view Hadiths by specific chapters, search for a particular Hadith, take notes for a Hadith for future reference, bookmark any of them as favorite for future reading, and share them from the App through email, FaceBook and Twitter. 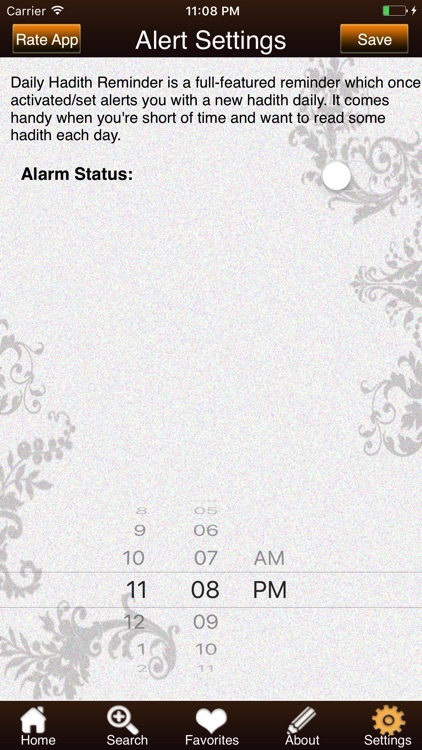 •Ability to set a reminder to read a random Hadith daily. It alerts you on set time with Hadith of the Day. •Ability to read Hadiths on topic of your interest. •Ease of reading through the whole Sahih Muslim like a hard copy. 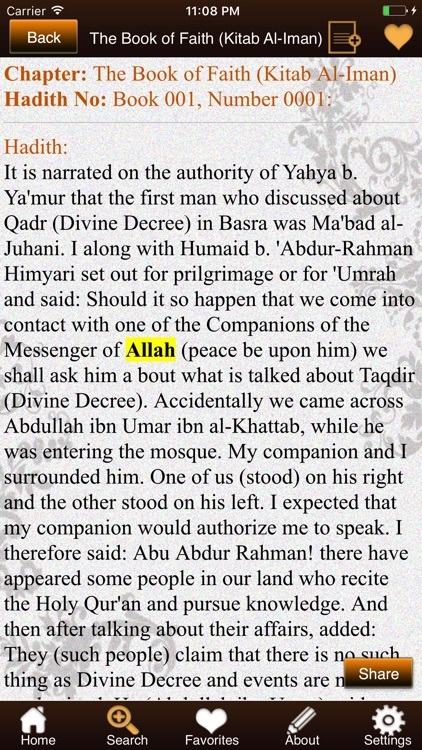 •Ability to take notes for a particular Hadith for future reference. •Ability to bookmark Hadiths to keep track of your last read Hadith so you can simply go to that Hadith and continue from there. 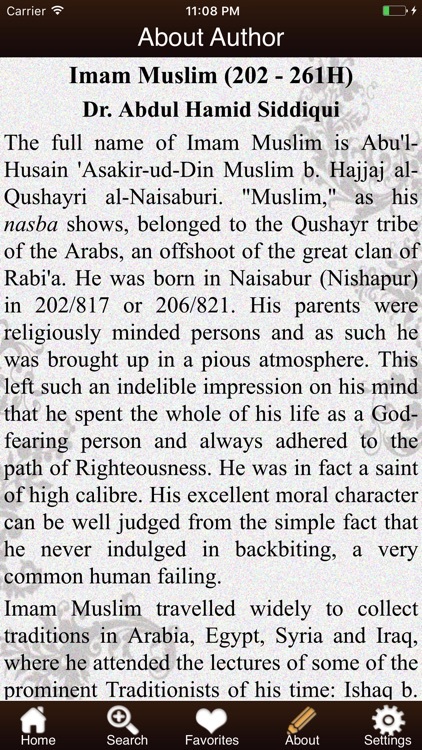 •Ease of maintain favorites list by marking any Hadith as favorite. •Integration with Facebook, Twitter & email to share Hadith with your friends and family. 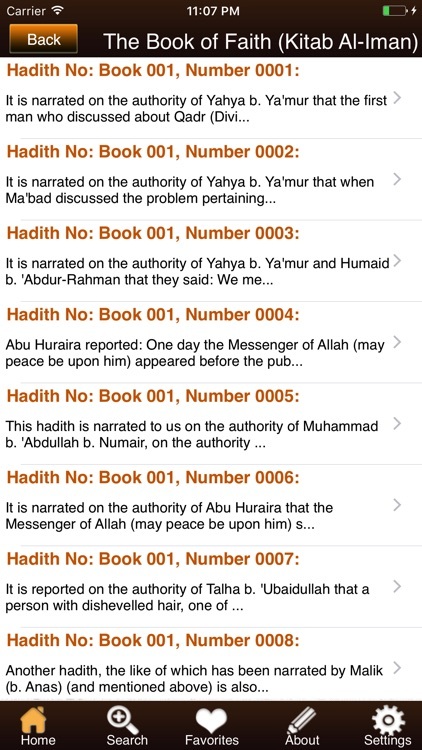 Sahih Al-Muslim is the most popular & authentic Islamic Hadith collection. 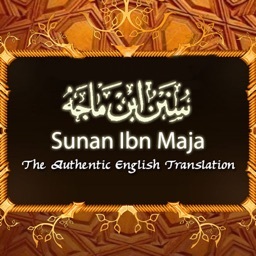 It contains sayings and traditions of Prophet Muhammad (PBUH). It is the second collection among the six Hadith compilations regarded as the "6 Canonical Hadith Collections" by Muslims all over the world.